COPENHAGEN – With one month to go, over 25 speakers will present at Planet Textiles 2016 including new names such as former White House advisor Cyrus Wadia, who is Nike’s new vice president of Sustainable Business and Innovation. 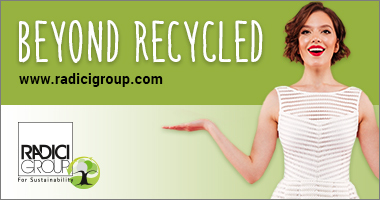 Yerdle – a new smartphone app based service for exchanging used consumer goods such as clothing has also confirmed its involvement in Planet Textiles. Other new additions to Planet Textiles, which already has registered attendees from 30 different countries include: Joschen Hoffmann, Senior Policy advisor at the German Federal Ministry for Economic Cooperation and Development; Michael Beutler, Director of Sustainability Operations, Kering; James Gifford, Director of Impact, TAU Investment Management and Vicky Dodman, Project Manager, Corporate Human Rights Benchmark. With still one month to go until Planet Textiles, space at the event is becoming limited, so please reserve your place HERE to avoid disappointment. Cyrus Wadia who was recently appointed as the new Vice President of Sustainable Business & Innovation for Nike, previously served as the Assistant Director for Clean Energy & Materials R&D within the White House Office of Science and Technology Policy – where he advised the White House and Executive Branch leadership in the design of national policy in advanced materials and manufacturing. He will give delegates a unique insight into Nike’s thoughts on how innovation and sustainability go hand-in-hand and will throw out a few key challenges to the textile industry in order to advance this thinking. Meanwhile, Adam Werbach, co-founder of Yerdle, a San Francisco-based business that allows users to empty their wardrobes or drawers of unwanted items, which can then be swapped on-line for stuff they actually need is also set to join the event. The new Yerdle service for exchanging used goods looks like an antidote to mass production and waste diversion – while satisfying consumerism. It uses a ‘pay it forward’ where ‘User A’ uploads information on an object they possess and wish to give to someone else. ‘User B’ can then get the object in exchange for credits, which are paid to User A, who can then use these credits to get something else from User C. It has already explored the use of this disruptive model with companies like Patagonia. Joschen Hoffmann, Senior Policy advisor at the German Federal Ministry for Economic Cooperation and Development will update Planet Textile delegates about the German Partnership for Sustainable Textiles and how it intends to grow this initiative beyond Germany’s boundaries. Michael Beutler, Director of Sustainability Operations, Kering; James Gifford, Director of Impact, TAU Investment Management and Vicky Dodman, Project Manager, Corporate Human Rights Benchmark will all take part in this special breakout session. - Elzaphan Hotam, VP Sales, TIPA Corp.
- Guisy Bettoni, Director, C.L.A.S.S. In yet another a new move, Planet Textiles can also announce a new collaboration with the Copenhagen Fashion Summit (CFS) whereby Planet Textiles delegates get a 30 per cent discount on entrance to the CFS. Similarly CFS delegates get a 30 per cent discount on entrance to Planet Textiles. 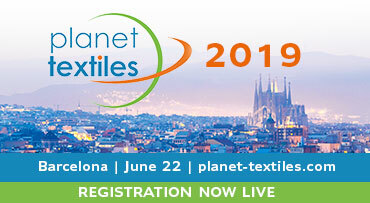 Named individual Ecotextile News subscribers have until today (11th April) to register free for the event due to the need to work out catering requirements. 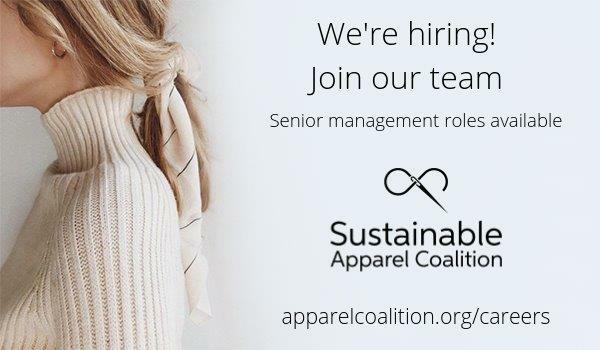 Sustainable Apparel Coalition members can register for free attendance directly with the organisation. Planet Textiles 2016 is organised by MCL, Sustainable Apparel Coalition and Messe Frankfurt and takes place in the Copenhagen Concert Hall on Wednesday 11th May one day before the Copenhagen Fashion Summit and one day after the Sustainable Apparel Coalition’s two-day annual member meeting. Note: While we take every care to ensure that all our named speakers will take part in Planet Textiles, sometimes last minute changes in circumstances can lead to a change of speaker.